Just a follow up post to remind you about this offer we detailed yesterday as it is now live!! Even though it wasn't supposed to start until noon ET today it seems the offer has been released early. 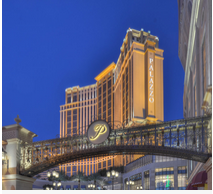 The offer is for 50% off IHG Rewards Club Reward Nights at the The Venetian and The Palazzo, an InterContinental Alliance Resort located in Las Vegas. The Venetian and The Palazzo are the world's largest five-diamond, four-star resorts featuring all of the classic charm of Italy with many fine dining restaurants, indulgent shopping, gondola rides through St. Mark's square and casinos.